In its FY 2018 Agency Financial Report, the Office of Inspector General (OIG) identified employer injury and illness reporting as one of the most serious challenges facing the Department of Labor. 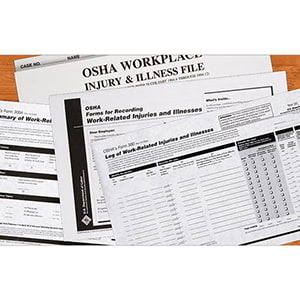 The report states that OSHA must complete its initiatives to improve employer reporting of severe injuries and illnesses. The OIG notes that without reliable data regarding workplace injuries, OSHA lacks the information needed to effectively focus inspection and compliance efforts on the most hazardous workplaces. Another goal for OSHA, the report states, is to enhance staff training on abatement verification (the correction of the safety or health hazard or violation that led to an OSHA citation), especially of smaller and transient construction employers. The OIG says OSHA closed many citations for safety violations because the construction project ended, not because employers corrected the cited hazards. As a result, OSHA received no assurances employers would use improved safety and health practices at subsequent construction sites. In response to the OIG’s concerns, OSHA says it encourages employers to comply with illness and injury reporting requirements through a variety of enforcement, outreach, and compliance assistance efforts. The agency also has established a program to develop, implement, and assess the effectiveness of its internal controls. J. J. Keller's Workplace Injury & Illness online training course provides an overview of annual workplace injury and illness recordkeeping and OSHA reporting requirements for managers.